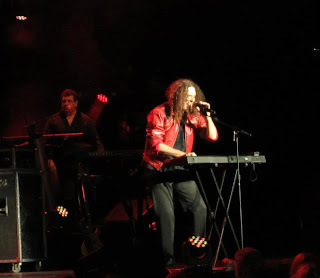 Home » alpocalypse , chad austin , comedy , concerts , eric wilson , humor , kristen , marissa , music , north carolina , raleigh , reviews , weird al yankovic » "Weird Al" Yankovic concert in Raleigh was FRENETIC! "Weird Al" Yankovic concert in Raleigh was FRENETIC! So... wanna hear about it? Of course ya do!! 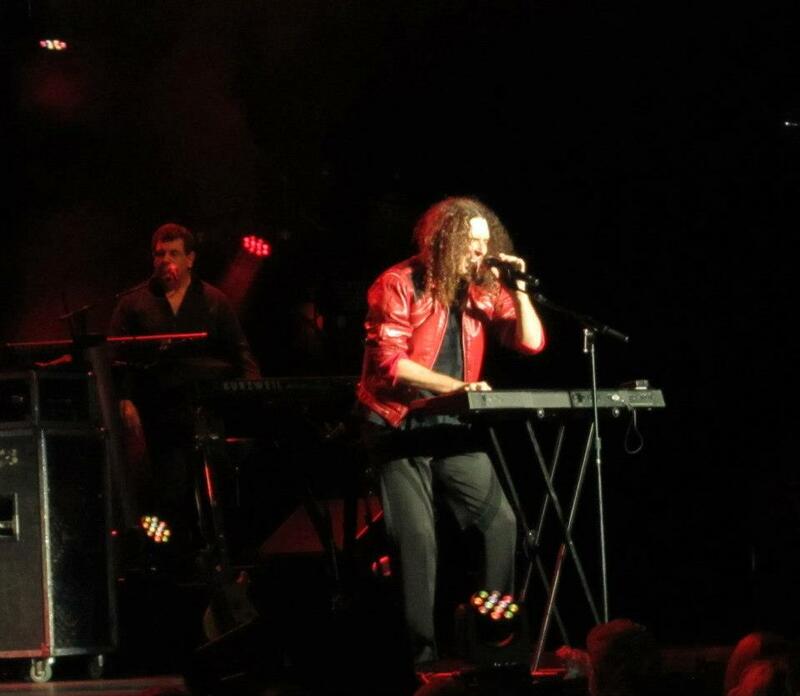 Al stormed the stage at 8 on the dot with the "Polkaface" medley from the Alpocalypse album. They did another number and then the stage went dark while Al and the band (John "Bermuda" Schwartz, Jim West, Ruben Valtierra, and Steven Jay) did the first of their many costume changes. The intermittent periods are filled with various Al videos, such as his "interviews" with celebrities like Eminem and Umma Thurman, his recent "5-Second Films" series and the "Weird" trailer that FunnyOrDie.com released a few years ago. There was even the "Dirt" documentary! "A garage band from Seattle. Well it sure beats raising cattle." 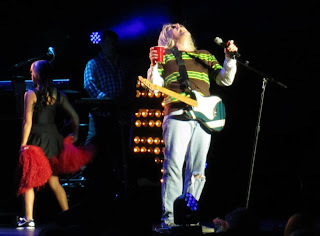 When the lights came up it was Al in his Kurt Cobain outfit as he and the band did "Smells Like Nirvana" from the Off the Deep End album. Al gargled water from a red Solo cup during that part of the song then spat it upward and threw the cup into the audience. 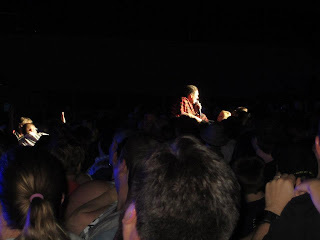 The crowd sang along after the "...how do the words to it go" while Al feigned forgetfulness. 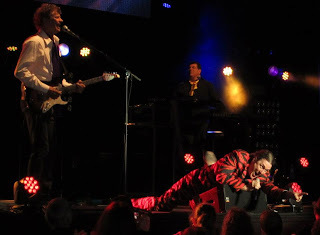 This song's video is one of the better ones that Al has produced and the live performance does a fabulous job conveying that same crazy spirit. 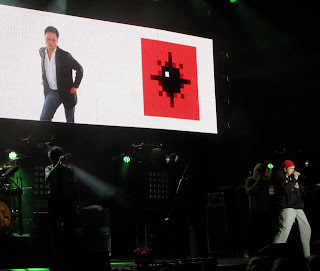 From there it was a series of many of Al's more recent works, such as "Skipper Dan", "Party at the CIA" (a parody of Miley Cyrus' "Party in the USA") and "Canadian Idiot" (Al's parody of "American Idiot" by Green Day). 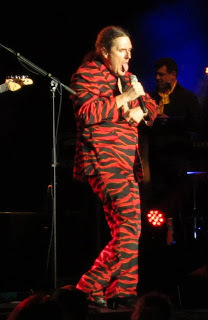 Al and the band were dressed in their finest secret agent finery for "Party at the CIA" and Al was perfectly resplendent in a red-and-white maple-leaf motifed jacket for "Canadian Idiot" (the climax of which saw red and white streamers violently fired into the air above the audience). 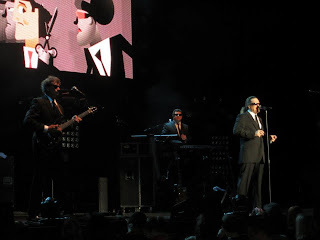 My favorite of this set was when Al did "CNR": his White Stripes style parody about Charles Nelson Reilly. I had a picture of Reilly loaded up on my iPad and was holding it aloft and waving it as Al sang! Alas he didn't see me but later it turned out to be a good thing that I did that (find out why later). "You're absolutely perfect. Don't speak now you might spoil it. Your eyes are even blue-er than the water in my toilet." Is Al channeling Gene Simmons?? "Anyone ever tell you you've got Yugoslavian hands?" "Grab yourself an egg and beat it!" 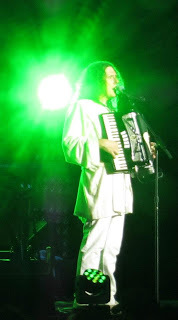 "As I walk through the valley where I harvest my grain..."
"Eat It" wrapped up the medley then it was another costume change... and when the lights came up there was Al "looking plain" in Old Order Mennonite garb. Of course it was time for "Amish Paradise"! 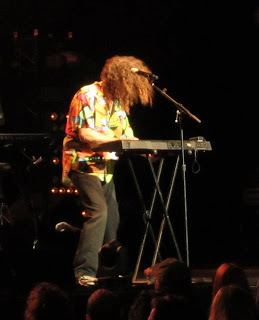 Some consider this to have been Weird Al's best music video ever (from what many already believe is his best album, Bad Hair Day from 1996) and the first several seconds of it synced up perfectly with Al's on-stage persona. This is one of his songs that the audience really "gets into": everything from waving the hands to some people even whipping out black hats. 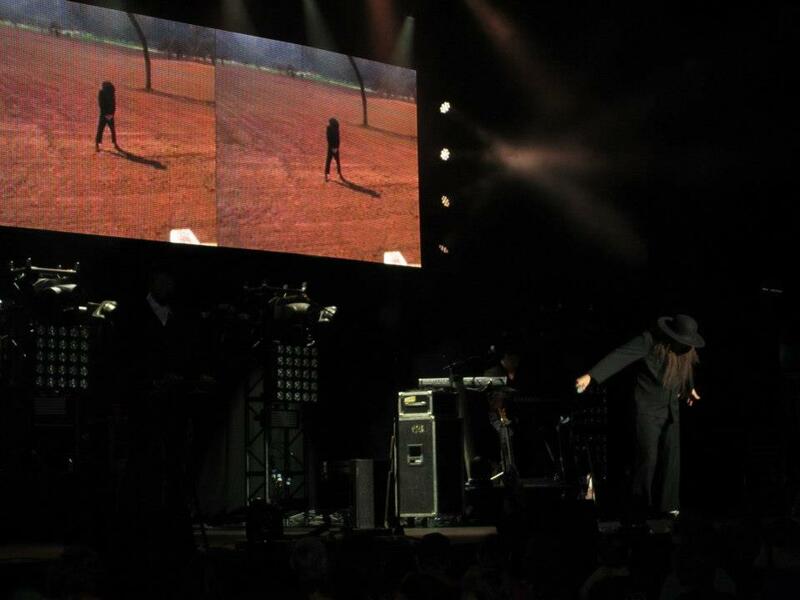 Who'da thought that a song about Amish would be such a hit crowd pleaser? HE is the Lizard King! Donny Osmond and Minesweeper. 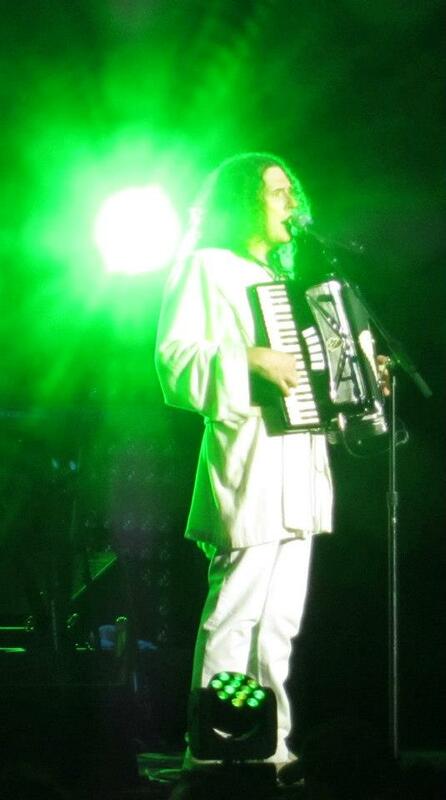 Only at a Weird Al concert! Al and the band had performed a hefty number of their tunes for our pleasure, but of course they weren't going to let the evening end without "Fat": Al's parody of Michael Jackson's "Bad". I've heard that it took Al four hours to get into makeup and costume for the music video in 1988. 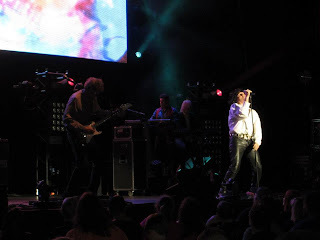 The live concert version takes him something like forty seconds! Is this guy a show-business beast or what? 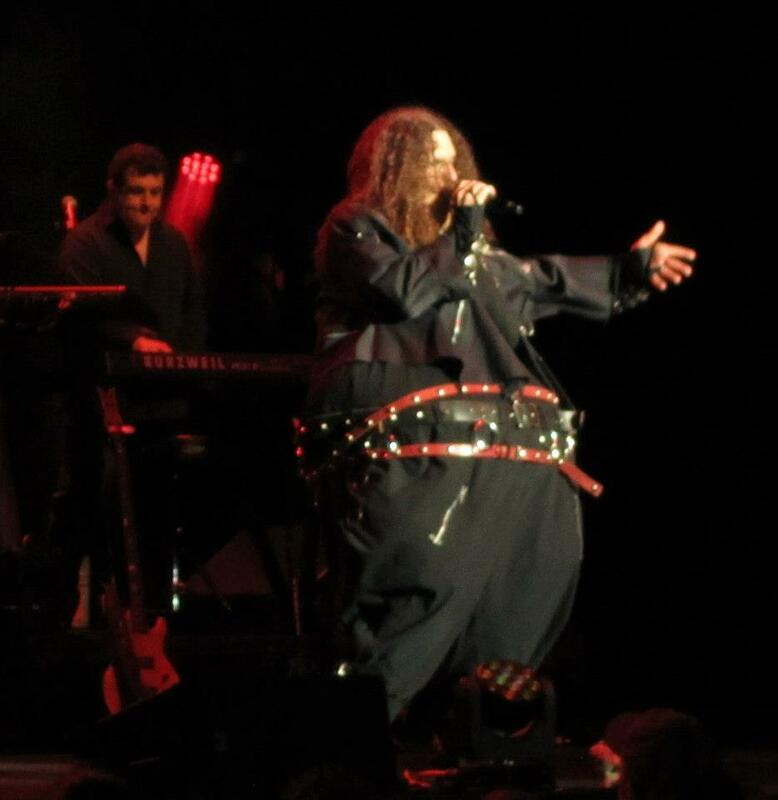 "You know I'm FAT, I'm FAT, you know it!" Then Al introduced the band members and thanked the audience and said "Good night Raleigh!" A few minutes later Ruben came on dressed as Darth Sidious from the Star Wars movies. He played a spooky organ interlude as a Tusken Raider, several Stormtroopers, Boba Fett, Chewbacca and Darth Vader himself (all courtesy of the 501st Legion) paraded onto the stage. 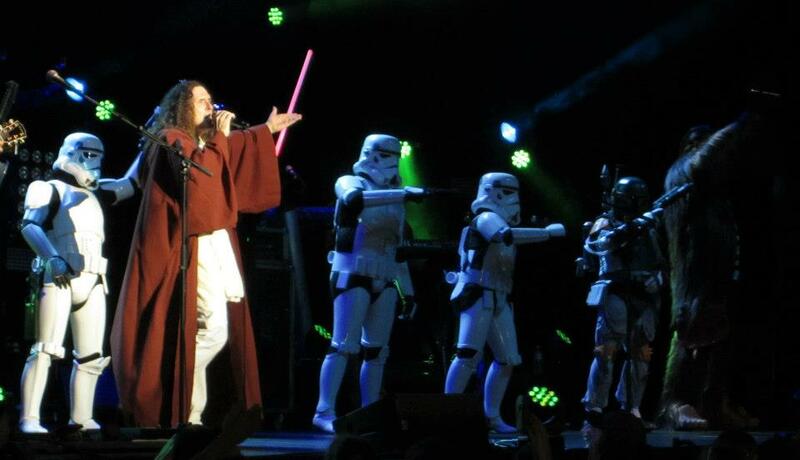 They were followed by Al and the remaining band members dressed as Jedi Knights. And so it was that Al did "The Saga Begins": a parody of "American Pie" so spot-on that Don McLean complained that for awhile he was singing Al's song instead of his own! There was one final song to perform. Not just a "song", but a transcendental experience unlike any other. 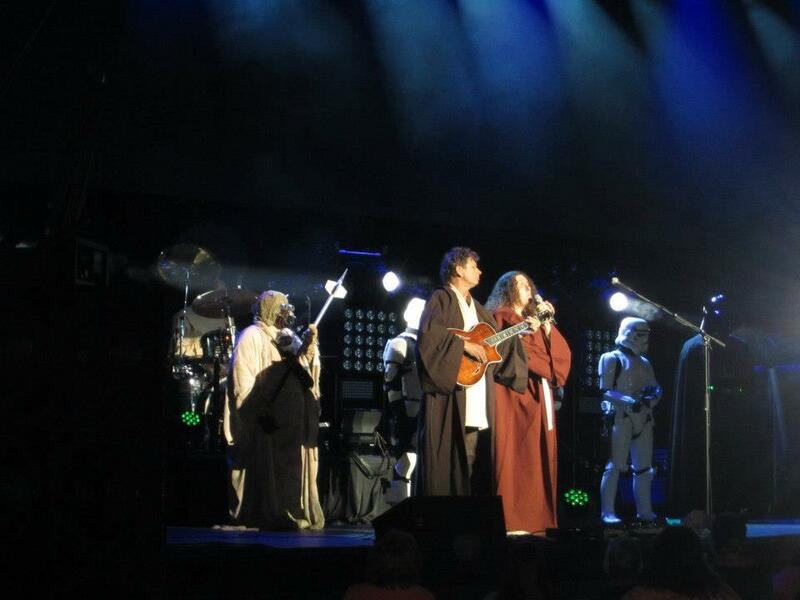 You see, "Yoda" is far more than a Star Wars-inspired parody of "Lola" by the Kinks. It is several minutes' worth of communion with the inner geek we all share. The culmination of which is the very, very strange, wildly surreal and unbelievably coordinated "Yoda Chat" that Al and his band go into. 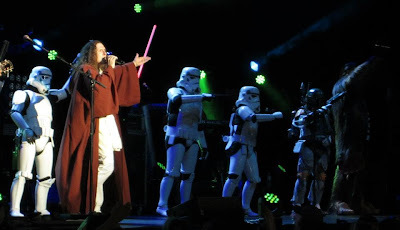 How it began and how the guys practice it will likely always be a total mystery but the Alpocalypse 2013 version is certainly the longest Yoda Chant they have done in all my years of attending Weird Al concerts! 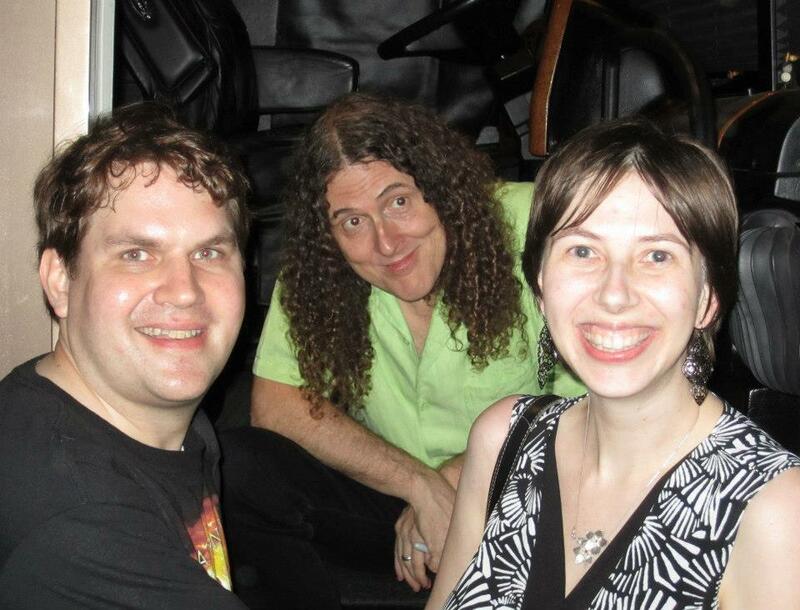 Is Weird Al putting the moves on MY girlfriend?!? And there is Weird Al, Kristen and me. 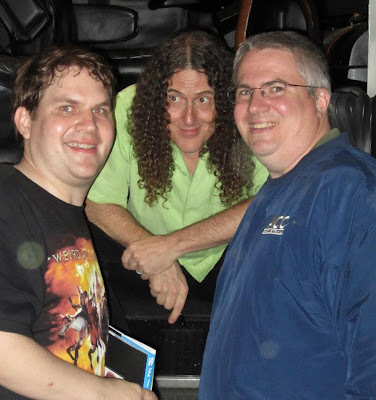 We even got to tell Al about how his music was one of the things that we had in common with each other when we first met and how it has become one of the bigger parts of our relationship! He seemed rather fond and appreciative of that :-) Before the show we met a couple and the lady was extremely pregnant. 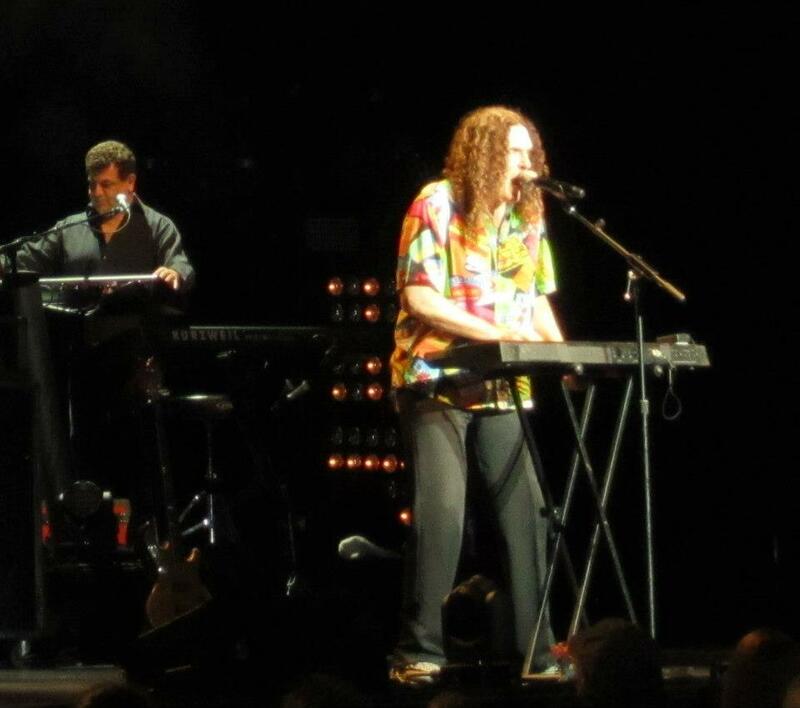 I told her that my girlfriend thought she looked so beautiful the way she was cradling her unborn child and how wonderful they were to be introducing the kid to Weird Al music already! Lord willing, that will be Kristen someday and if they coincide we will CERTAINLY take him/her to an Al concert before the decanting takes place!